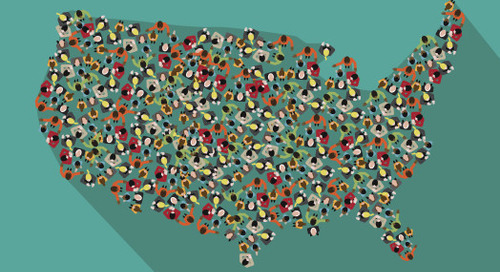 A new CareerBuilder study based on data from Emsi, CareerBuilder’s labor market analysis arm, explores the generational shifts and employment trends for the 100 most populous U.S. cities. It tracks how certain demographics — in particular, workers ages 22 to 34 as well as those ages 55 and older — have shifted from 2001 to 2016. North Port, Fla. tops the list of the city aging the fastest since 2001, with a 1.5 percent change in share of workers ages 55-plus from 2001 to 2016. It also has the largest overall share of workers ages 55-plus (25.8 percent). Madison, Wisc. is the city growing the youngest the fastest since 2001, with a 3.1 percent change in share of workers ages 22-34. Provo, Utah has the highest overall share of millennial workers — 35.4 percent of its workforce was aged 22-34 in 2016. Whether they are motivated by financial reasons or personal choice, people are staying in the workforce longer. At some point those workers and their intellectual capital will retire, so a city with a workforce that is aging at a faster rate needs to ensure it is attracting an adequate supply of new talent to fill the gap and fuel economic growth. While big cities have broad appeal, younger generations are also gravitating toward second tier markets with diverse economies, a strong technology presence and affordable cost of living. Understanding some of these complex generational trends in top cities around the country is crucial to your recruitment strategy. Instead of relying on a post-and-pray approach for your open positions, you can proactively utilize data and analytics to evaluate the constantly shifting changing demographics and adjust your search for top talent accordingly. 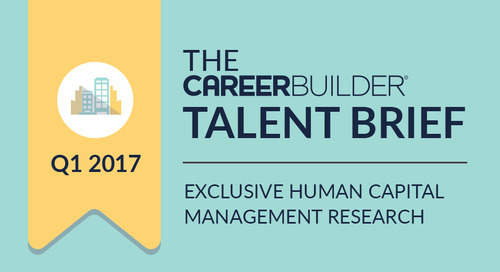 Take a look at CareerBuilder’s interactive map to learn more.